American spacecraft are exploding on return to earth, and Seaview is sent to find out who is up to no good. Crane is briefed by a government intelligence agent, then, accompanied by Kowalski and Sharkey, heads inland over southeast Asia to rendezvous with underground agent Li Cheng near the source of interference. 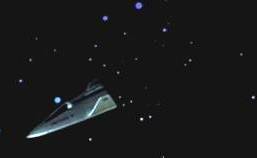 After encountering the same effect that's been downing spacecraft, the Flying Sub dives to safety in a river and heads upstream toward the rendezvous point. 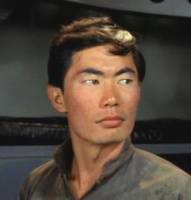 Crane debarks on his mission carrying a small emergency transponder, and after several adventures encounters a suspicious man claiming to be Li Cheng. Upon returning to the Flying Sub with the man, he finds a woman also claiming to be Li Cheng. What to do? Work with both -- carefully. But the clock is ticking. Another spacecraft will re-enter in a matter of hours. The woman eventually confesses she's not Li Cheng, but rather Moana Yutang, and that she can lead Crane to a secret installation, the source of the interference. mines while headed upriver in The Silent Saboteurs. Sharkey maneuvers the Flying Sub upstream, narrowly averts disaster when they encounter mines, and deposits Crane, Kowalski, Moana and "Li Cheng" ashore. When they are ambushed, Crane assumes Moana has led him astray and leaves her behind under Kowalski's watchful eye. When they get to the installation, Crane finds out the hard way that the man claiming to be Li Cheng is the enemy--he's out to capture Crane for his knowledge of Flying Sub technology. Unnoticed, Crane is able to activate his emergency transponder. Following its cue, Sharkey and Kowalski, as well as Moana, who has escaped from Kowalski, end up arriving at the installation just in time to help with an assault which overpowers the enemy forces. Crane knocks out Defector Blake Halden's computers that control the interference weapon just in time, and the returning spacecraft gets down safely. An enemy general pushes a self destruct button, but Crane and company are able to escape before the whole complex blows sky-high. Rather than escape in the Flying Sub, Moana elects to stay behind and fight for her country. Re-entry craft on the way back to earth. Mark Says: A standard story enhanced by a believable heroine (Pilar Seurat) and George Takei. 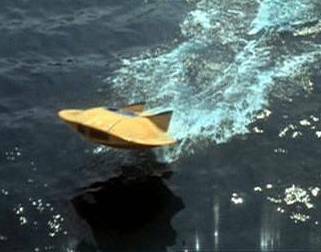 The shots of the flying sub traveling up river are interesting as well but the episode never really takes off. The jungle setting is grimy and the bad guys are totally one-dimensional. The episode does end with great triumphant music as several impressive shots of the flying sub are edited together. Mike Says: Big budget on Flying Sub effects sequences and fabulous jungle sets. Big budget blown! Blown by lame script and even lamer direction from Sobey Martin. Endless scenes of Crane and others walking stultifyingly slowly through dark jungle. Music by Lennie Hayton that noodles inanely, compounds the torpidity of this outing. Takei and Seurat are good, but nothing other than rewriting and reshooting could have perked this snoozer up. On the other hand, the jungle sets and Flying Sub sure look good.